Washington: Change is on the horizon for the International Space Station as three upcoming spacewalks prepare the orbiting laboratory for future arrivals by U.S. commercial crew spacecraft. The third of the three space walks will see the installation of two new communication antennas on opposite ends of the station’s truss to assist in the commercial crew vehicles approach for docking. 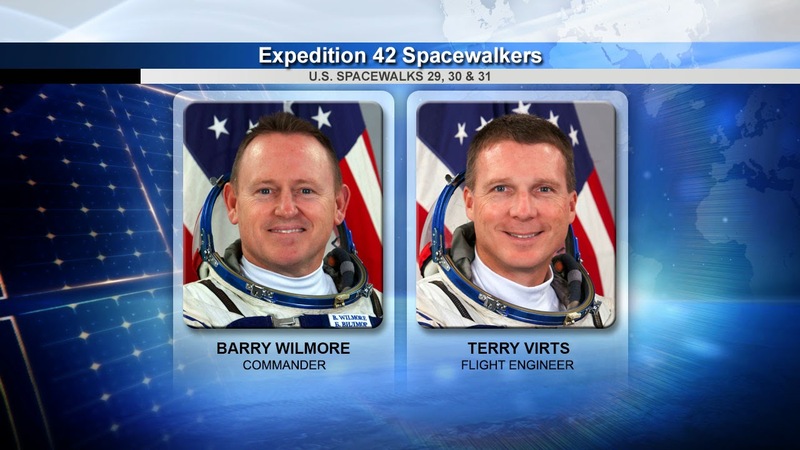 The spacewalks are planned for Saturday, Feb. 21; Wednesday, Feb. 25; and Sunday, March 1, with Expedition 42 Commander Barry Wilmore and Flight Engineer Terry Virts participating in all three. The goal of these spacewalks is to prepare two berthing ports on the U.S. for the docking for commercial crew transport ships. The station has eight ports for cargo and crew total, including the U.S. and international segments. All three EVAs will be performed in U.S. spacesuits, and will last around six and a half hours each. Boeing and SpaceX were recently awarded Commercial Crew Transportation Capability contracts with NASA to develop solutions for U.S. astronaut transportation to and from the space station. After NASA crews begin fly with these contractors, it is expected to double the amount of time devoted to science in space from 40 hours to 80 hours per week. U.S. commercial crew capabilities also could provide a faster turnaround to bring completed experiments from the orbiting laboratory back to Earth. SpaceX’s sixth commercial resupply mission is scheduled to launch to the station no earlier than April and will bring with supplies and equipment to support more than 200 research investigations. The two new docking adapters will be launched to the station on a pair of SpaceX Dragon cargo spacecraft later this year. SpaceX is targeting its new Crew Dragon spacecraft to make an uncrewed flight test in late 2016 and a crewed flight test in early 2017. Boeing is working with NASA on its CST-100 spacecraft, which will launch on a United Launch Alliance Atlas V rocket. Boeing recently announced future projects including a pad abort test in February 2017, an orbital flight test in April 2017, and a crewed flight test with one Boeing test pilot and one NASA astronaut in July 2017. The International Space Station is a convergence of science, technology and human innovation that demonstrates new technologies and makes research breakthroughs not possible on Earth. The space station has been occupied continuously since November 2000. In that time, more than 200 people and a variety of international and commercial spacecraft have visited the orbiting laboratory. The space station remains the springboard to NASA's next great leap in exploration, including future missions to an asteroid and Mars.